Determining if you or a friend has an outstanding search warrant is relatively simply using our Free Online Warrant Search tool. Keeping track of your own arrest warrant status is also a smart idea. A forgotten ticket or missed court date can result in a bench warrant or arrest warrant. It’s even possible for a notice mailed from the court to get lost. Administrative errors do happen, and a defensive explanation for why you didn’t know about an arrest warrant is unlikely to solve a problem. Try our Arrest Warrant Search along with our premium membership Free for 5 days. Simply enter a first and last name and search to see who has an arrest warrant or any other criminal record. To start a free arrest warrant search, visit our arrest warrant blog at the bottom of the page and send us the full name of the person in question as well as their state of residence. If an outstanding warrant has been issued for your arrest, it is best to know about it. Resolving an outstanding warrant is important, because even a simple ticket for a traffic matter can turn into jail time. Knowledge of a warrant can help you prepare and reach out to a defense attorney. An arrest warrant is a surprise no one wants. Many courthouses will provide single inquiry arrest warrant information. If you’re concerned about a local/state warrant, it is possible to obtain the information needed by picking up the phone. If the individual has open warrants in another state or even federal warrants, it is necessary to contact the appropriate local, state, or federal courthouse for information. Of course, you may visit the courthouse in another state to inquire about your warrant status. Some courthouses only provide information in writing, and significant delays may result. However, a personal visit to the courthouse may be unnecessarily nerve-wracking or result in an immediate arrest. An attorney can be engaged to perform a search but lawyers are likely to charge a fee to perform this service. Try our Arrest Warrant Search along with our premium membership for 7 days all for Free. Check your arrest warrants status or any other public record with a simple name search. Each U.S. citizen has the right to search police records or warrant information under the Freedom of Information Act. Open an incognito browser when possible to search for information if you share a computer or use a public workspace. There are other reasons to search outstanding warrants for arrest. For instance, you consider hiring a household worker or babysitter. By checking the arrest records, it’s possible to have greater peace of mind. Perhaps you’re considering a new relationship. Before committing your heart and financial resources, it’s important to check him or her out for outstanding arrest warrants. Try our Free Arrest Warrant Search along with our premium membership for 7 days all for Free. Simply enter a name in the search box to the right and begin your preliminary search. Our free arrest warrant search will vary from state to state and not all arrest warrant information is available. ** Tip: When you use our free arrest warrant search make sure to include as much information as possible and cross-reference multiple fields of data to insure you’ve found the correct arrest warrant record. Many people have the same name so it is imperative that you use at least one secondary piece of information to verify someone. This can be a birth date, residence or previous criminal record. 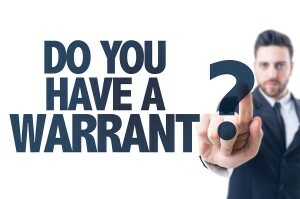 Are you looking for warrant records on a person? We do not show an active South Carolina warrant for you. You should also check with your local county court clerk to verify this information as warrant search information can be delayed. We do not show any active South Carolina Warrants for you at this time. It’s best practice to also verify this information with the county court clerk or sheriff’s office as sometimes warrant is delayed when being reported as public record. We do not show an Iowa warrant for you but we do show that there are several people with warrants in other states with the same name. You should also verify this information with the relevant Iowa law enforcement agencies. Can you see is there is a warrant for Tawanda Howard in Macon,Gergia? And if so what kind of warrant? We do not show any active Georgia warrants in Macon for a Tawanda Howard but we do there are some criminal records. If you can provide us with your middle name and age we can provide more information about any Georgia criminal records. Can you tell me if there’s an active warrant for Trent Nail in Carthage tx? We do not show any active Texas warrants for Trent Nail in our Texas warrant database. You can also check with your local sheriff department or county court clerk. Can you please tell me if Nicole Surant has a warrant out of Sterling Heights, Michigan? There are not any hits in our Michigan warrant database for Nicole Surant. Please reach out if there are any additional Michigan public records we can assist you with. We would be happy to assist you with a Free Arrest Warrant Search. Can you also provide us with the state and county this person resides. Our warrant record database is indexed by state so we need this information to proceed. For Antornette Davis we do not show any active California warrants. For Loneasha Steward we also do not show any California warrants. We have several listings of active California Warrants for Steven Foster and not all of them have the age listed. If you can provide us with your middle name we can narrow down our results. I do not currently show any South Carolina warrants for you in our database. I would also check with the South Carolina county court clerk in your county to verify this as many times warrant records are delayed when reported as public record. We do show there is a warrant in Kentucky for the person you mentioned. The charges we show in our warrant database are listed below. Hi, I’m Seth Pfister I’m 18 but I was 17 when I got the charge I told the police my current address in Waukesha but I feel like there is a warrant for my arrest in waukesh,WI I got charged with disorderly conduct and they said I either have to pay my ticket by the 19th of February and today is currently the 20th of February and they said if I don’t pay my ticket I go to jail. So could you please see and do whatever it takes to check if I have a warrant for my arrest please and thank you! I understand your concern. I checked our database and I don’t show an arrest warrant for you in Waukesh, Wisconsin. This is probably because it takes a while before warrants are posted as public record. Additionally, since you were a minor when you were charged, the warrant records might not be available to the public because juvenile records are typically sealed. I would recommend contacting the Waukesh county court clerk in Wisconsin for more warrant information. I have included a link below for you. Could you please tell me if there Are any outstanding warrants out of New Hampshire (Nashua, Derry, and Manchester NH) for Davina F Smith, female under 30 years old. I am fairly certain there is at least one, unless something was suddenly and unexpectedly resolved without my knowledge. Thanks. We do show there are warrant records in New Hampshire. I do not have the arrest or warrant charges listed so you might want to verify this with your local New Hampshire county courthouse clerk. I have provided a link to NH courthouses below for your convenience. I do not show any active Michigan warrants for you in our database at this time. You should also consider verifying this information with your county court clerk or sheriff’s department. In some states it’s possible to apply for an amnesty program where you can pay your fines and be absolved of your warrant, depending on the type of warrant. Hi I’m curious to see if I have a warrant please?! We don’t show an active California warrant for you in our resources. You might also want to check with the California county court clerk in the county where you suspect there is a warrant for you as many times this information is delayed when being reported to public database resources. Below is a link to the California county courthouses. We are happy to assist you with an Ohio warrant search however we will need your full name and age to proceed. You can also contact the Ohio court reporter or the relevant Ohio sheriff department to conduct a warrant search. We don’t show any active warrants in Augusta or Georgia for Jessie Woods. This doesn’t mean there isn’t a warrant. If the Augusta warrant was recently issued there is a good chance it hasn’t landed in public databases yet as these can be delayed in reporting. You should verify this information with the relevant law enforcement agencies. We do not show any active Alabama warrants for Brannon Lawson. You might also want to check with your local Alabama sheriff department of the county court clerk as they sometimes have more up to date information, especially if it’s a recent warrant. We will need some additional information to run an arrest warrant search. We’ll need the middle name, age and state and county of residence to search our resources. We don’t show any active New York warrants for James Horton. You can also verify this with the local police, sheriff or county courts. Good news, we do not show any active warrants in New Jersey for Jason Pedley. You can verify this with your local New Jersey sheriff or police department. We do not show an active Ohio warrants listed for the person in question. Do I have a Waterbury warrant? If that is you then you are around 25 years old and I wasn’t able to find any criminal/warrant/arrest records for a 25 year old Joe Brown in Waterbury, Connecticut. To be sure, you could probably call the Waterbury police, http://wtbypd.org/Divisions/Administration/Records/tabid/99/Default.aspx, and ask them if you have an active warrant. We do show there are multiple listings for Ohio warrants for “Jimmy John”. We will need additional information such as your age and address to confirm which Ohio warrant record is yours. We show that there are arrest and incarceration charges for you in Ohio but we don’t show any active Ohio warrants. You might also want to contact the Ohio sheriff department or your local Ohio county court reporter for up to date information. Is there a warrant in blairsville ga for heather 24? We do show there is an Alabama warrant for you but the charges aren’t specified in our database. You might also want to contact the Odenville County Court Clerk to verify your Alabama warrant. Below is a link the Odenville court website where you can do some additional research. Warrant for Fiona in Georgia? I would need a last name to look this up for you. If you have Fiona’s age and/or her city of residence this would also be useful to help lookup a warrant record. Many people have the same first name so additional information is needed to complete this search for you. I do show that there is one for David Coachman from 2014. Do you know his age or any other identifying information that I can cross-reference this by to verify this is the same person you’re looking for? Many times there are multiple records for the same person since many people have the same name. Did you sign up for a membership? If you are having trouble finding something that you feel that you should be able to find then you can contact us with any questions from the Help menu inside of the member’s area after you login. You can also contact us by phone and we would be happy to help you. Our phone number is 1-800-859-7375, and our phone support is available on weekdays from 7 AM – to 3 PM Pacific Standard Time. If you are still not happy with our service you can cancel and/or request a refund and we will provide that for you. Is there a warrant for Alicia Pace or Henson ?? In Texas ? I show multiple listings for Alicia Pace in Texas. Do you have an age or address for me to confirm that I am looking at the correct warrant record? Thanks for your inquiry. Here is a link for a free 5 day trial to our member’s area where you can lookup active warrants. I signed up and did a search but couldn’t access the file. Not sure why it says I must activate my account first?? Did you get a login email address? I don’t see any active warrants in our database for you. This doesn’t mean that there is not an active warrant. I would check with your county court office. You can find their website with the link below. Hope this helps. Thanks for the inquiry. I don’t show any active warrants on your record. You might want to check with your local courthouse, you can do this online with most courthouses. I have listed a couple links below for you to check out. The first is a free 5 day trial for our premium membership where you can lookup any public record. The second is a nationwide courthouse finder. Please reach out if you need any additional assistance. I am happy to assist. I would need a first and last name to look this information up for you. Below is a link for a 5 day free trial that you can sign up with and search for yourself if you like. I do not show any active warrants on our database. Here is a link below for a 5 day free trial so you can lookup any other public record you’re interested in. I do show several listings for your name in Georgia. Here is a link for a 5 day free trial where you can lookup warrants and public records. Please reach out if you need any additional assistance. I would be happy to assist you in finding any active warrants or pending warrants. Can you give me the full name and city and state you think these warrants will be listed in? I do not show that you have any active warrants in either state. Sometimes the reporting of active warrants are delayed so if this is a recent development I would continue to check back. Below is a link for our 5 day free trial for our premium membership you can use to lookup warrant records for yourself. Hello my name is Virginia E Lane 30 years old do I have a warrant out of Michigan or Indiana? I do show that there are warrant records for you in Tennessee. Here is a link for a 5 day free trial for our premium service where you can lookup warrant records, criminal records, arrest records and more. Please reach out if you need any additional assistance. Is there a way you could find by description? Should have multiple warrants. I could have a sketch artist draw up a face, but not sure how that’d help. Our technology only works by searching a name, license plate, VIN number, or another piece of data. The local police department in Bexar County, Texas would be the place to contact since your information is limited. They might have a list of people with active warrants along with mugshots in their county. I do not see any active warrants for that name in our database. Sometimes there is a delay if it’s a recent warrant. You might also want to check with the county courts to lookup active warrants. That’s a great insight. Many people find out the hard way that they have an active warrant. Please let us know if there is an arrest warrant or active warrant that we can search for you. We only need a first and last name and state of residence to begin. I will be happy to assist you in searching for an arrest warrant search. Please give me a first and last name and state of residence and I can lookup arrest warrants for you. My name is cody s. Cary-Wade an i am 21 years old i live in beaverton, OR. Do i have a warrent active.? I do not see any active warrants in Oregon for you. This doesn’t mean that you don’t have an active warrant, especially if the warrant was recently filed. Often times active warrants are delayed before they become public record. I would continue to check back to see if you have an active warrant. Below is a link for a 5 day free trial to our premium member’s area where you can access our active warrant search. I do show that you have an active warrant in Kentucky. Below is a link for a free arrest warrant search – 5 day free trial. There you can sign up and search all the details of your active warrant. Please reach out if you need us to search any additional criminal, arrest or bench warrant records. I am happy to assist you with locating a person. I will need some additional information first. Do you have the first and last name of the person? Do you want me to search arrest warrants or lookup an address for you? Please let us know and we’ll be happy to assist you in your search. I do not show that there are any Pennsylvania active warrants with my search. This doesn’t mean there aren’t any active warrants for you as sometimes this information is delayed when becoming public record. I would advise you to try our Free Arrest Warrant Search again in the near future and see if there are any active warrants posted for you. Warrant for Shaun Norwood In Chicago Illinois or Milwaukee Wisconsin? I am happy to assist you with an active warrant search. I checked Illinois active warrants and Wisconsin active warrants and found there was one for a Shaun Norwood in Wisconsin but not Illinois. There was some additional criminal records information available as well. Please let me know if I can be of more assistance to you. Below is a link for a 5 day free trial where you can search active warrants for yourself. I do not currently show any active warrants in Louisiana for you. This doesn’t mean that there isn’t an active warrant for you. Sometimes court ordered warrants are delayed when they’re reported on many of the nationwide criminal record databases. I would search again in another week or two in case your warrant shows up. Below is a link for our free arrest warrant search where you can test drive our premium services free for 5 days. I will be happy to assist you. I’ll forward your request to cancel to our customer support team. Please reach out if there is anything else we can help with or another arrest warrant search you might be looking for. Is there any warrants for a Brianna Haywood Bessemer, AL or Birmingham, AL? I do not currently show any active arrest records or warrants for Brianna. This doesn’t mean that there are not any active warrants for her. Sometimes warrant records are delayed in how they are posted as public record. I would contact the relevant police department or court clerk to find out more about a potential Alabama warrant. You can always check back with us in a few days as well. I have included some links below that might be helpful in your active warrant search. I do show that there is arrest information in our database but not an active warrant currently. This doesn’t necessarily mean that there are not any active warrants for you. Sometimes warrant information is delayed before it becomes public record. I would check with your local police department or county courthouse clerk for more up to date information about this. I have included some helpful links below for you. I would be happy to help you out with looking up a Los Angeles Warrant Record. I will only need the first and last name to perform the warrant search. Do you know if this is a bench warrant, criminal warrant or arrest warrant? I would also try contacting the Los Angeles Court Clerk or the Los Angeles Police Department. Below is also some helpful links for you to check out. I do show there is an Ohio warrant record for the name you gave me. Can you give me a middle name as well so I can verify the warrant record? I also see that there is an arrest and criminal record. You can also contact the Ohio Police Department or Ohio county court clerk to verify this information. You will want to know the court or police department in the county in which you have the warrant. I have included some helpful links for you to check out below. Yes, that is the correct warrant record then. Please reach out if you want us to research any other warrant records or public records for you. You are most welcome. Hello is there a warrant for karysa snell 29 in tacoma wa or fife wa? I do not currently show that there is a warrant for Karysa Snell in Washington. This doesn’t mean that there isn’t a Washington active warrant. Often times warrant postings are delayed several days or weeks before they become public record. I would contact the Washington Police Department or Washington Court Clerk for current warrant information. I have included some helpful arrest record and warrant record links below. I do show that there is an arrest warrant record for you in California for petty theft. I don’t have all the specific details of the arrest warrant so I would contact the Red Bluff County Court Clerk or a lawyer to find out more information. I have included some helpful warrant related resources below. Please reach out if there are any other criminal records or warrant records you would like us to help you lookup. Is there a warrant out for Adrian Demond Bouknight age 47 in SC, KS or GA? Is there a specific question about an arrest warrant or criminal record we can assist you with? We have a multitude of public records in our member’s area. I don’t show any active warrants for Jennifer Capone in New Jersey. I would recommend contacting the New Jersey police department or county court clerk about this. If the arrest warrant was recently issued it might not be public record as sometimes these records are delayed. I have included some useful links below. I do not show any active warrants in our database. It’s possible that there is an active warrant for you. Sometimes the information is delayed before it becomes public record. You might consider contacting the student loan government website (StudentLoans.gov) to see if there is any information they can offer you. Please reach out if there are any additional questions we can help you out with. Can I get a warrant search on Stacey Sheats in Georgia? I do show multiple warrant listings for Stacy Sheats in Georgia. Can you provide a middle name or an address so I can confirm I’m looking at the warrant record. Many times people share the same first and last name so additional information is required to locate the correct public record. I’m currently in San Francisco, California closing on a home to purchase, I was told i may possibly have an active Warrant for San Joaquin County and don’t wanna start out the new year in jail.. please let me know if you can help me, and if the warrant is active. I do not show that there are any active warrants for you in San Joaquin County. I would also check with the county court clerk in San Joaquin County to make sure of this. Sometimes there are inaccuracies or delays in warrants becoming public record. Please reach out if there are other questions about your public record in the future. Warrant for terrance c Brandon? Age 34. North Carolina. I do not currently show any North Carolina warrants in our database. This doesn’t mean there isn’t an active North Carolina warrant. I would advise contacting the County Court Clerk for more up to date information. Sometimes there is a lag before warrants become public record that are available to view online. Joshua D Edwards 34 Augusta GA Richmond county…Any warrants? The! I do show there is an active warrant in Georgia for you. There are a couple of charges listed for you in Georgia. If you’d like to see the full Georgia Arrest Warrant, you can sign up for our 5 day trial for $2.95 and check it out. Please reach out if there are any additional warrant or criminal record related questions. Allan L Houle 29 years old. Los Alamos NM 87544 Any warrants? I don’t currently show any active New Mexico warrants for you. This doesn’t mean that there aren’t any warrants in New Mexico for you. I would check with the county court clerk for the county in which you think you have a warrant. I have included some useful links for you below. Please reach out if there are any additional New Mexico public records that you would like us to lookup for you. Is there a warrant for a Justin Cox 27 Brandenburg ky? I do show that there is a Justin Cox in our database that has an outstanding Kentucky warrant. I will have to verify some additional information to make sure we’re talking about the same person. Do you have a middle name or address I can cross reference? Many people have the same name and often times the age is not enough to discern who is who. Hi I’m wondering if I have an active warrant in Denver Colorado? Our database resources don’t show any active Colorado warrants for a Benjamin Piaz. You should double check with the Denver court clerk to verify this. Sometimes there is a delay in the reporting of active warrants to 3rd party public record databases. Below is a link to their website. I do show that there is an Alabama active warrant for a Cecil Simmons but none in Georgia. I would double check this against the Alabama state website, I have included the link below for you. There are also instructions on how to gain Amnesty from an Alabama warrant. Please reach out if there are any additional warrant or criminal record related questions. I can certainly help you lookup an active warrant. I will need the full name of the person in question as well as their state of residency. Many people have the same and last name so if you can provide an address or age as well that will help filter the results so we can locate the correct warrant record for you. I do show that there is an active New Mexico warrant for you. The New Mexico arrest warrant states that it is for “careless driving”. Please let us know if there is any additional warrant checks we can lookup for you. Is there a active warrant or wanted for Keleisha Blanchard age 26 for Bellefontaine Missouri? I don’t currently show an active Missouri warrant for you. This doesn’t mean that a warrant doesn’t exist. If it is a recent warrant it might not be available in public record databases. I would recommend checking with the county court clerk where you think the warrant was issued. I do not show any active warrants in our database for you in Pennsylvania. There could still be an active PA warrant for you. I would advise checking with the Pittsburgh county court clerk’s office to verify. I have included a link below to their website. I do not show any active Georgia warrants for “Tangee Hawkins” in our database. You should also check with the relevant Georgia county court clerk to verify this information. Is there a warrant for Stephanie Myosky 35? I am happy to assist you with your warrant search inquiry. I will need the state in which you think you have a warrant in to proceed. I show multiple listings for a Leona Henry in Virginia. Can you provide some additional information such as a middle name or address so that I can locate the correct warrant record for you. I am happy to assist you with a warrant search. I will need a first and last name and state and county of residency to proceed. I do not show any active Texas warrant records for you in our database. This doesn’t mean that there isn’t one. Some counties do not post this public information immediately so it’s best practice to contact the county court clerk for more information. Please reach out if there is anything else we can help you with. any active warrants for jecory Sims-dean 25 of Columbia sc and what are they please? We do show that there is an arrest warrant for Jecory Sims-dean in South Carolina for burglary. Please reach out if there any other warrant or criminal records information we can assist you with. Thanks for your inquiry. I do not currently show any active Long Beach warrants for you in California. This doesn’t mean there aren’t any. I would also contact the Long Beach county court clerk to confirm this warrant information. Many times counties lag in reporting warrants as public record. This means that there might still be an outstanding warrant but it’s not publicly available yet. Please reach out if there is any additional information we can provide you with. Candace Highbaugh 34 Kentucky does she have any open warrants? I do show that there is a Kentucky warrant for Candace Highbaugh. Our database does not specify what type of warrant Candace has but it looks like it could be an arrest warrant. I would also check with the Kentucky court clerk in the county she has a warrant in. Please reach out if you need any additional assistance. I’m Trying to find out if I have a warrant for a V.O.P. My name is Thomas W. Phipps, Age: 25, Location: Orlando, Florida, Ethnicity: White, Gender: Male. It’s making me incredibly nervous and worried not knowing if I could be going to jail at any time, even just sitting in my house. My peace of mind in completely non existent. I do show that there is a Florida arrest warrant for you in Orlando. The arrest warrant charges in our database state “Misdemeanor Drive W/Suspended DL With Knowledge”. Please let us know if there is anything else we can assist you with. Trying to find out if I have any warrants so I can go and take care of it….. I can certainly lookup an active warrant record for you. I will need your full name and state of residency to begin. If you can provide an address or middle name that would be helpful also. Is there an arrest warrant for Arturo Alejandro Ramirez, age 20 Bday July 18,1996, In California Los angeles or Orange county. I do show there is a warrant for you in Los Angeles county. I would recommend following up with the Los Angeles county clerk to clear up your outstanding Los Angeles warrant. I am looking to see if a woman who is from Haralson GA by the name of Cindy Diane West has a warrant for her arrest. Possible bday of 6-14-1963. Can you help me please? I performed a warrant check and I do show that Cindy West does have a warrant. Our database records state that there are several charges brought against her. I have included a link below for a 5 Day free trial where you can view this record in detail. Please reach out if we can assist you with any additional warrant information. Are there any warrants out for Jacob Duplessis in Corpus Christi Texas? Our database does not show any current warrants for you in Texas. This doesn’t mean that there aren’t any warrants as sometimes these records are delayed when being recorded and posted online. I would recommend also contacting the Corpus Christi County Court Clerk. I have provided you a link below. Please reach out if there are any additional public records we can assist you with. And if so what are they please? I do not show an active warrants in our database. I would also contact your local Ohio county court clerk to verify this information as sometimes this information is delayed in being reported as public record. I do show there is arrest charges for you in Louisiana but not necessarily any active warrants. I would recommend contacting the New Orleans county court clerk/recorder for more information about warrants. Please reach out if we can assist you with anything else. Are there any warrants for Stephanie Myosky in South Carolina? I do not show any active South Carolina Warrants for you in our database. I would also recommend checking with your South Carolina county court clerk to verify this information as many warrants are not posted as public record in a timely fashion. Please reach out if there are any additional public records we can assist you with. Our database doesn’t show any Idaho warrants for you however this doesn’t mean there isn’t one. It’s best practice to contact your county court clerk to verify this information as many times this information is not posted immediately. Hi there I’m looking warrants for Rochelle Winchester. In Washington state. She is 34. She is ruining my friends life. Washington state 34 yrs old. But would think it would have shown in ur search, with the last name. I checked for a Rachelle Winchester and still no results in our database for a Washington warrant for her. Please reach out if there is anything else we can help you with. I do show there is an arrest record for Michael Shane Hagens but no active California warrants. You might also want to verify this with your local county court recorder as many times this information is delayed when becoming public record. hi I was wanting to know if Devon Walther had a warrant out of Az? and reply in email please aand thank you. I do not show any active Arizona warrants in our database for you. You should also check with the Arizona county courthouse in the county you suspect you have a warrant in. Sometimes warrant information is delayed before being released as public record. I have included a link to our free Arizona courthouse finder for you below. Warrant for Tamecca Marbury in either Texas or Michigan? Warrant for Tamecca Hannah in Michigan age 41? Are there any federal warrants for Tamecca Marbury or Tamecca Hannah aged 41? I don’t show any Texas warrants or Michigan warrants in our database. You might also check with the Michigan county court clerk and the Texas county court clerk as they typically have more up to date information on active warrants. It is unclear what you mean by delete. Do you want us to remove your warrant record from our database? If you can provide the state and county where you think you have a warrant we can certainly perform a warrant search for you. We do show there is an arrest charge and a warrant in Missouri for “FELONY POSSESSION CONTROLLED SUBSTANCE”. You should consider contacting the relevant Missouri county courthouse to resolve this. If you can provide your full name and your state and county of residency we can certainly assist you with a warrant search. We don’t show an active PA warrant in our database. Also check with the relevant PA county courts to find out if there is a warrant for Candace. It’s often the case that warrants are delayed when being posted to public record databases. Our database doesn’t show an active Texas warrant for you however this information might not be up to date since often times warrants are not reported to public record databases in real time. You should also contact the Jasper county court clerk for more information about your potential Texas warrant. According to our database there is not an active Ohio warrant for you. Please also verify this with the Ohio courthouse clerk. It is often the case that this information from the courthouse is more accurate than public record databases as information can be delayed when being reported. I need to check my status in California. Gloria Rivera I’m 34. Thank you. I do show there is a California active warrant for a Goria Rivera. Can you tell me your middle name so I can confirm the warrant record? The warrant record we show is for a Gloria A. Rivera but she is 54 years old so this probably isn’t your warrant record. You might also want to check with the county court recorder to make sure this is accurate. Sometimes there are mistakes when warrants are reported as public record. Does it show what county or city? I can be listed in either is LA or San Bernardino. We don’t show any active Ohio warrants for you however this information is not always real-time. It sometimes takes days or weeks for active warrants to be posted on public record databases. It’s best practice to also contact the county court clerk or recorder in the county you think there is a warrant in. Below is a link to the Ohio count courts for your convenience. We do show an active Pennsylvania warrant with our warrant search resources. Our database says there is a probation violation that is probably the cause of this warrant. Please reach out if we can perform an additional warrant check or criminal records search for you. We do not show an active Georgia warrant for Edward Anthony however there might still be a warrant since often times reporting is delayed with public record repositories. You should also contact the Georgia Records Bureau to confirm this warrant search. Is there a warrant for Caleb Little in the state of Tennessee? We do show there is a criminal record for a Caleb Little but no active warrant records. You might want to verify this with the county court reporter to make sure. Hi, my name is Laura Camacho. I’m 29 and I am from Austin tx but I live in Houston Texas. Do I have any warrants in the city of houston, texas? There is no Texas warrant listed in our database for you. Did you receive a notice recently? Sometimes warrant records are delayed when becoming public record. You might also want to contact your local Texas county sheriffs office or county court reporter for this information. Hello. Do you know approximately how long the delay is before a warrant that is granted is visible on your search? Thank you. Thanks for the reply Joan. Delays can sometimes be a few weeks and sometimes indefinite. It really depends on the reporting of the agency, that issued the warrant, so that it’s accessible by public record databases. Warrants can be very time sensitive and many people want to fix their situation before being arrested or incarcerated or paying huge fines. It’s best practice to also contact the government agency that issued the warrant. Many times this is county courthouse. If you call the county courthouse clerk and ask them about finding your warrant they should be able to assist you. Do I have a warrant out for my arrest? Lacey Hart age 31 in Berkeley county sc? We do not show an active South Carolina warrant for you. It’s possible there is a warrant and it’s not publicly available yet. You might also check with the South Carolina court clerk in the county in South Carolina where you suspect you have a warrant. We do show there is an active Texas warrant for a Ruben Solis but we will need a middle name to confirm this is correct warrant record we’re looking at. We don’t have any warrant listings with the information you provided. If you have a middle initial we can also search that to be certain. You might also contact the relevant Texas county court clerk to verify our warrant search. There is no record of a California bench warrant for you in our database. You might also want to contact the Van Nuys Court Clerk to confirm this information. With their online resources you can sometimes handle the bench warrant online depending on the reasons for the warrant. thanx so much for the time to reply, i have tried for twenty years to get back to sort this out, but they wont issue me a visa to get back to clear this uop, thanx again..
You’re Welcome Kenneth and Good Luck! We do not show a Massachusetts warrant for you in our database. You might also want to verify this information with a Massachusetts county court clerk as sometimes certain counties have delayed reporting. Tony I Hourani Holbrook Massachusetts any warrants arrest warrants outstanding warrants etc. We do not show any active Massachusetts warrants for you at this time. Below are instructions on how to lookup Massachusetts warrants through your state agencies. Our Massachusetts warrant record database did not show any outstanding warrants for you in Carver or the rest of the state. If you feel certain that you have a warrrant you can also check with the Carver County Courthouse Clerk to verify if you have an arrest warrant or bench warrant. I am trying to find out if my brother in law has a warrant out of Tennessee. His Name is Michael Messer. We have multiple Tennessee warrant records for a Michael Messer. Can you provide his middle name and age so we can narrow down the results and find the correct warrant search information for your brother. I want to check my status in southern states to take care of any wrongs. We can certainly assist you with a warrant search. We will need your full name, state of residence and age to locate your public records. It sounds like you might have a Missouri warrant however we don’t show an active warrant in our warrant search database. Do you think this warrant can be from another city or state? You might consider contacting the St. Louis County Court Clerk to verify this information. Many times you can find out warrant information through the county court website. Let us know if we can be of further assistance. We’re happy to assist you with an active warrant search. We will need Terry Sava’s middle name, state and county of residence and approximate age as there are multiple people with the same name. We did not see and active Washington warrant in our database for Nicholas Bower. You might also want to check with the Washington State Department of Corrections. There are no active Wisconsin warrants listed for you in our Wisconsin database. We do however show an active warrant for a Wendy M Allen in Kentucky but this might not be yours. You should also contact the relevant Wisconsin Sheriff Department or Wisconsin County Courthouse Clerk as many counties are notoriously delayed in their reporting of warrant information. This means that public record websites might not have this information for several weeks or months after the warrant has been issued. Can you check if there an arrest warrant for Minnie Delgado in Austin Tx 09/27 /1976? There are not any Texas active warrant listed for you in our database. You should also contact your relevant government agency to follow up on your potential warrant information. We don’t show any Atlanta warrants for you in our database. You should also check with the Atlanta courts as they have an amnesty program for people with warrants where you can lookup your warrant for free and take care of the penalties and charges so they can be dismissed. Is there any under the name of Kaila ruff? We don’t show any Georgia warrants for the names you mentioned in our database. This doesn’t necessarily mean that there is not a warrant. Many states and counties are notorious with delayed reporting of warrant information to public record databases. To lookup your warrant we will need to have your full name, including middle initial, state and county or residence and age. We don’t show an active North Carolina warrant for you in our database. It is common for many states and counties to be behind by several months in reporting warrants to public record forums. See how to also check with your local North Carolina government agency to verify the warrant search we performed for you. We don’t show an active Texas warrant for you in Fort Worth however we do show multiple criminal records listed under your name. To verify that you don’t have an active Texas warrant follow the instructions below. Do I Have a Warrant in Texas? We are happy to help you with a warrant search but first we’ll need some additional information. We need your middle name, state and county of residence and age so that we can locate the correct warrant record. You can also check with your County Court Clerk or Sheriff Department to verify current warrants. Do you happen to know what you might have a warrant for? Any information you can offer us will certainly help us find what you’re looking for. We strive to make our resources fast and easy to use. Please reach out if we can assist you with any specific warrant records. What state and county would you like me to search warrant records for Daniel in? The NCIC is the National Criminal Information Center, that is run by the FBI. Is that what you’re referring to? If so you should contact them directly. We do not have any affiliation with them. We do show a Tennessee warrant for you however it doesn’t specify in our database what type of warrant it is. You can also contact the Tennessee county court clerk to verify this information. We do show a few criminal records but no active South Carolina warrants. You should also check with your county court clerk or South Carolina Judicial Department to verify this information. Do I Have Any Warrants In South Carolina? We don’t currently show any El Paso warrants for you in Colorado. If this is a recent warrant it might not show up on the public record databases as sometimes this process is delayed. You should also contact the El Paso county court clerk, sheriff’s office or relevant law enforcement agency to verify this information. Depending on the nature of the warrant some counties offer an amnesty program. We don’t show any Colorado Warrants for you but we do show a warrant for a Clayton Adams in Kentucky. This is probably not you since you’re 25 and this is for an older gentleman. You should also confirm your potential Colorado warrant with the relevant Colorado law enforcement agency. Many times you can look this up on their website. We show that you have an address in Colorado but no associated warrants that we show in our database. You might also want to verify this with the relevant state or county law enforcement agencies where you suspect you might have an outstanding warrant. For James Anderson there are too many listings nationwide to verify a warrant with the information you have provided. If you can provide us with a more targeted area (i.e. state or county) where you suspect he might have a warrant, this can help narrow down the results. Michael A Peterson, 32, from Saint Lucie County, Fl. Can you please see if there are any warrants for me in this location? Ty!! I do show there is a warrant for a Michael A. Peterson in St. Petersburg Florida. Rosa Ayala, 21, I’d like to know if there is a warrant out for my arrest in IN. We do show that there are multiple people in Indiana that have warrants with your first and last name. We will need additional information to verify you correct warrant record. Do you have a middle name or address we can cross-reference? We do not show any active Pensacola warrants for your son. You might also want to verify this with the relevant Florida law enforcement agencies as this information can be delayed at times. Is there a warrant for stacee cheng? She got arrested back in dec, 5 2015. Arrested happened in San Joaquin County and she’s 19 years old. We do show an arrest record for Dee but not any active San Joaquin County warrants listed in our database. You might also want to verify this with the relevant law enforcement agencies. We have multiple warrants listed for Stacee Cheng so we will need additional information to verify we’re looking at the correct record as many people have the same name in the United States. Can you provide us with her middle name and state and county of residence. She doesn’t have a middle name. She’s located in California. Does she have a active warrant in Yuba City County or San Joaquin County? We don’t show any active warrants on those counties. You should also follow up with the relevant law enforcement agencies as this information is sometimes delayed when being posted as public record. Do you show an active warrant for Cindy West in either Bucchannon county Georgia, St. Albans, WV or Princeton, WV? She is in her 50’s. Thank you! We do show criminal records for a Cindy West and there are multiple listings for warrants for this person in Georgia. We will need to have some additional identifiable information to provide you with the correct criminal records. Do you have a middle name and address and age we can filter these results by? or San Joaquin County, California. she’s 19 years old. Thank You! So nothing in California for stacee cheng? Does that mean she’s clean? Any criminal records? Or arrest records? It doesn’t necessarily mean that her criminal record is clean. Many times these types of records are delayed when being reported as public record. You might also consider contacting your county court clerk or sheriff’s department to verify this information. We are not able to use the NCIC index as it is intended for law enforcement use by authorized agencies. In order for us to run an accurate warrant search for Colorado or California we will need the county in which William is suspected to have a warrant in. Our resources come up with multiple listings for the name you mentioned so we will need additional information to verify we’re looking at the correct record. What Does an NCIC Check Include? Do you show any active warrants for Eric Destin Graves DOB (7/27/1990) Brazos county TX or Hardin county TX? We do show a Texas warrant for an Eric Graves. Can you verify his age so that we’re looking at the correct record. The middle name is not listed for this record and we have multiple listings. We do not currently show a warrant record for you but we do see a criminal record listed. You should also verify any outstanding warrants with the relevant Florida law enforcement agency. We don’t show any Kentucky warrants for you. It’s best practice to also verify this with your local law enforcement agency. You can contact a Kentucky sheriff’s department or the Kentucky county court clerk for this information. Are there any warrants out for Stephen P Smyser in CT? We don’t show any active Connecticut warrants for Stephen Smyser at this time. It’s best practice to verify this with the Sheriff’s department or county courthouse clerk. I am curious if I have a warrant in Lake Isabella, CA or Tucson, AZ. I have a job interview this weekend. We don’t show any active California warrants or Arizona warrants in our database resources. You can also verify this with the local sheriff’s office. I was wondering if David Saetern from Sacramento, CA has a warrant? We do not show any warrants for David Saetern in our database. Juvenile records are typically sealed so there might not be anything listed on public record databases. You should also search your local sheriff or police department for this information as they will have the most recent up to date warrant records available. Warrants are typically issued on a local level, by the sheriff, police or relevant law enforcement agency. In order for us to lookup warrant information we will need your full name and state and county of residency. If the nature of the warrant is federal in nature then you will want to contact that federal agency. Currently there are no active Michigan warrants in our system for you. That being said, it’s best practice to check with your local sheriff department or county court clerk to verify this as many times there is a delay when warrants are reported to public record databases like ours. We don’t show any active Virginia warrants for you. We checked in Newport News and statewide. You should also verify this with the Newport News sheriff department as they sometimes have more up to date information. We do show an active arrest warrant for a James E Johnson in Virginia but no warrants for Garrett Snyder. Again, you should also verify this information with the relevant Newport law enforcement agency. The arrest warrant says James Edward Johnson and he is 61 years old. Click the link below to get a 5 day free trial where you can lookup the specifics of this warrant record for yourself. Hi I’m Stacee Cheng 19 years old and I was wondering if I have any arrest warrant in Sacramento County, or Yuba County, or San Joaquin County? I live in California area thanks! We don’t show any active California warrants for you in the counties or cities you mentioned. It’s best practice to verify this information with your sheriff or police department. You can also contact your county courthouse to verify if this information is current. Hello, my name is Brandy Lee Wheatley, I also am sitting here with Horace Asbury Williams IV . we both have been trying to see if we have any outstanding warrants. Horace is attending a court appearance today and I have missed a court appearance due to transportation problems etc… We have recently, finally seeked employment and do not wish to have the burdens of warrants on our backs since the both of us are just now getting our feet planted firm and getting our lives together and have been working together to keep each other normal productive citizens of society,(without a record), . please help me find out if either one of us has a warrant so that if it is so,we can fix it. Thank you, INFO::BRANDY LEE WHEATLEY, 33, SEAFORD DE. 19973(10/17/82)_ &_ HORACE ASBURY WILLIAMS IV, 27, BRIDGEVILLE DE 19933(7/20/90). We do not show any active Delaware warrants for you or Horace. It sounds like these might be recent warrants and might not be posted publicly yet. Your best option to obtain the most up to date information about your possible Delaware bench warrants is to contact the Delaware Criminal Justice Information System website. Hi how can I check if I have a warrant in California? I had court in march 2017. Missed due to them moving my case to a different court and I got a notification after the date of court. My name is Oscar Ruiz Tije and I’m in San Fernando valley, CA. DOB 3/4/90. Address is north hills,ca 91343. You will want to check to see if you have a bench warrant with the courthouse that you were required to report to. Do I Have A Bench Warrant In California? Is there a warrant out for keith alan bert jr.
We can certainly assist you with a warrant search. We’ll need the state and county where you suspect you have a warrant to lookup this information. We don’t show any active warrants but we do show a couple criminal charges for a DUI and Driving Without A License (DWL), but those were from a few years ago according to our records. If this is a recent development it might not be available to 3rd party public record resources since pending cases and reporting can be delayed. It’s best practice to follow up with your local Sheriff’s office or the Spokane county court, depending on if this is an arrest warrant, bench warrant. The Spokane County Courts will typically issue a summons by mail before a warrant is issued if charges are filed against you. If the charges involve violence or the summons is ignored then a warrant will likely be issued for your arrest. We do show an assault charge, and another misdemeanor but no current warrants. To be sure I suggest contacting the Sheriff Department in those counties. Is there a warrant for Misty D Wolfe age 30 in Washington state? We do not show any active warrants for Misty D Wolfe in our database. However, it is possible that you do have a warrant in Washington state and our records have not picked it up yet. We do show several criminal records on file for Misty D Wolfe in Washington, but these were mostly between 1998 and 2010. I suggest you contact a Washington state agency. Can you please check if i have an active warrant. I seen something saying returned not served. Meagen M Winters Portland Oregon 28 years old. We do show there is an Oregon arrest warrant for a Meagen Marie Winters. We also show Oregon misdemeanor and felony charges for this person. Can You please Check if i have any arrest Warrants in the state of Texas, Alex Robles 20 Years old, Fort Hood, Texas. We don’t show any active warrants in Fort Hood for you however we do other warrants in the state of Texas. Do you have a middle name we can also reference so we can narrow down the results? There are no active Virginia warrants for the names you mentioned. Also check with your local Virginia sheriff department as they might have more up to date information if it’s a recent warrant. Would you please tell me if I have an arrest warrant in Georgia? Joy Simpson, 51 (could be under marital name Lane). Thank you so much! Also, would you please check Greenville County SC for an outstanding arrest warrant on me too? Thanks again! Not sure if above message went through. Would really appreciate it if you would check for any arrest warrants on me in Georgia and SC. James E Lane III. Thank you. My age is 53. Would you also check for any warrants on my wife, Joy J Simpson, 51 (could be Lane instead of Simpson and for the same states, GA and SC). Thank you. We have multiple warrant listings for a James Lane in Georgia and South Carolina. Can you provide a middle name so we can narrow down the results? We don’t show any active Georgia warrants or active South Carolina warrants for Joy Simpson in our database. Was there anything showing for Joy Lane? We can certainly assist you with a warrant search however we’ll need more information to refine the results. We’ll need your state of residence and age so that we can find the correct warrant record for you. James Edward Lane III, 53 and Joy J. Simpson Lane, 51. I don’t know which last name they have, Lane is a married name now. Could you check both names-Simpsonand Lane? It’s for arrest warrants for Georgia and South Carolina. Please checkboth states for both of us. Every time I answer a question the administrator asks, it starts me back over. Thanks. I do show there is a warrant for James Edward Lane in Georgia for theft as well as drug charges from 2016. I do also show a Georgia warrant for a Joy Nicole Lane but not a Joy Simpson Lane. We do not show any warrants in South Carolina. Checking on a warrant for kelly r brown in whitley county ky. Maiden name is gibbins. I’m 36. We don’t show any active Tennessee warrants or active Georgia Warrants for you Catherine. You might also want to check with your local sheriff department to verify this information. If this is a recent warrant it might not be posted on the public record websites just yet. We do not show any active warrants for Nestor Vallejo in our New York warrant record database. You might also want to check with your local New York sheriff department to verify this information. Can you please tell me if there is any active warrants on Nicole Brooke Morrow, Tallapoosa Georgia, date of birth: 01/11/1996. Write me back as soon as possible thanks. We don’t show any active Georgia warrants. You can also contact the Georgia sheriff department for additional information about pending warrants. We do show there is an arrest charge and possible warrant in Washington State for a drug charge. You should also confirm this with your local Washington sheriff department to verify this information. Unfortunately we only show there is a warrant but not the specifics of the warrant. You might consider contacting the sheriff department or the county court to mitigate your situation. If someone calls in a person with a warrant, will they be put on their papers? We do not put anything on your records for inquiring about any public record. All searches are anonymous and confidential. Hi. Could you please tell me if there are any warrants out for Michael Davis in Guilford County, NC….? Can you tell me if there is a warrAnt for a Christina Chandler in Kentucky? We don’t show any warrants for the states you mentioned. You can also contact the county sheriff office in each state to inquire about warrant information as well. There are occasions where active arrest warrants are delayed when make available for 3rd party databases. Do you have a warrant for a Bennie frank Dimaggio the 3rd from covington la? We didn’t get any hits for Bennie DiMaggio in Louisiana. You can also check with the Louisiana sheriff website to verify this information. Sometimes this can be done anonymously. William bedford in ky? Any warrants? We do show a Kentucky warrant for a William C Bedford for driving under the influence. Please reach out if there are any additional Kentucky public records we can assist you with. Do you show a warrant for DAVID FRANK 55 YO BM in counties/parishes of St. Landry or Evangeline Parish? We do show a Louisiana warrant for a David Jerome Frank. Unfortunately we do not show the circumstances or what type of warrant this is. You can find out more information by contacting the St. Landry Parish or the Evangeline Parish Sheriff Department. There are not any active Washington state warrants that come up in our search. Nos complace informar que no hay órdenes de arresto para Robelys Rodriguez en nuestra base de datos. También puede consultar con el Departamento de Alguaciles de PA para confirmar esto. A veces, las órdenes se informan al público de inmediato. Can you check for a warrant in California, LA county. Leah L Urbank, 38. Good news Leah, we don’t show any active LA county arrest warrants for you. If you feel like you might have a bench warrant then your best course of action is to contact the relevant LA county court clerk to inquire about this. No current active warrant listing in our database. Hello, Can you please tell me if there are any warrants for carolyn osman (Carolyn L. Osman) age 41 in either AL or IN? Thanks! We did not get any hits in our warrant database for either of those states Carolyn. The county court clerk and the relevant state police department are other places you can perform a warrant search. Can you find out if Brandon Micheal Blakley has an arrest warrant Whitley County KY.
We do show there is an active arrest warrant for Brandon Blakely for a drug offense of the 1st degree. You can inquire more about this Kentucky arrest warrant with the Kentucky police or sheriff’s office. Mariah, we don’t show any active Michigan warrants for you. Can you find out if Amy Lee Elswick has any active warrants in Whitley County KY. I would like to know if Ronnie Levi Medina, age 50, of Costilla County, San Pablo, CO has any arrest warrants. We do not show any active Colorado warrants for a Ronnie Medina. Are there any warrants for Chad O. Ryan in Tennessee/Gibson county Tn. Or Lauderdale county Al. Thanks. Are there any arrest warrants in Jackson,Ohio for David Kyle Landrum age 50 of Jackson Ohio In either probate or municipal courts. There is an outstanding Ohio warrant listed but we do not show the charges or what type of warrant is issued in Ohio. You can also ascertain this by contacting the Ohio county court clerk. There are no outstanding North Carolina warrants in our public records database. Arrest warrant for Dallas R. Taylor in Blount Co., TN? We did not find any outstanding NC warrants for you in our database. We will need the state to process a warrant search for the person you mentioned. Also, does that person have two middle names? Is there an outstanding warrant for Irving Camacho 24 in San Antonio, TX. We did not get a hit in our Texas warrant database for you. Also consider checking with the San Antonio county court clerk to verify this. We do not show any active warrants for Angela in our Virginia warrant record database. You can also check with the Waynesboro sheriff department or the county court clerk to verify this information. We do show multiple Texas warrants for James Mcinitre but not with your middle initial. Hi. Do you have an arrest warrant for Kenneth B. Roberts in Orange County. CA? Also, what Criminal history shows up? Please let us know if you need assistance with an arrest warrant or bench warrant search. We will need the full name of the person in question, age and their state and county of residence. He GoT SoMe FaNcY Attorney now, big bucks for his Maryland deal. But before long he will once again be a no show for Maryland and Virginia for his HIT AND RUN DEAL. Maybe you can teach him the difference between right and wrong, something Ash would not do. If you want to really help him, get him thru these hurdles and walking the right path in LIFE and not blaming everyone else for all of his wrong doings. We are a public record repository that is privately run and operated so we can only help you out with an arrest warrant search or a public records search. There are several active warrant listings for a John Jackson in Nebraska. Can you also provide your middle name so we can sort the warrant results. There is more than one Cole County. Can you specify what state you’re looking for this warrant in. We have found several warrant listings for the name you provided and many times people have the same first and last name so we need additional information to process your warrant request. Is there a warrant for Selim Gutierrez, age 43, in Florida? Is there a warrant for Selim Francisco Gutierrez, age 43, in Florida? Can you tell me what the charges are, please? Sorry didn’t see my question here in the comments so I am asking again. Do you show any active warrants for Amber Hand aka Amber Carter in the state of Alabama? From Santa Ana California has any warrants ? Hello. Can you check for warrants for adrian nieto age 52 from Santa Ana calif.
We do show a couple of active Tennessee warrants for a David Stephens for PUBLIC INTOXICATION and another warrant for the charges of VANDALISM. Unfortunately we don’t show any middle initial and the age does not match so it’s uncertain if these are applicable to you. You can also verify this with Tennessee sheriff department or courthouse clerk. Can you Please tell me if there is an Active Warrant for Meagan Lynette Price or Meagan Price in Tulare County, California?? Can you tell if there are any warrants on Jamie Gee age 44 of dawsonville Georgia. Thanks in advanced! Can you see if I have a warrant in Texas? Can you tell me if there are any active warrants for Christine R. Torres age 48 in San Patricio, Sandia or Robstown, Texas? Do you have any warrants for Amy Rennee White or Amy Rennee Smith in Grants, NM, Lafollette,Tn,Manchester,ky? How could. I find out more info I’ve called the courts and they. Have no record of me? We will be happy to assist you with an arrest warrant search but we’ll need some more information first. Can you also provide your state and county of residence as well as your age? Are you able to pull up a case number Or a date? We don’t have court dates listed in our court record database. Your best bet to find out your court case number and date is to contact the courthouse clerk where your court case was processed and they can give you that information. Oh I don’t know. I’ve never been arrested in my life. And ive never been to court in NM . I’m a nurse and I’ve always kept a clean record. Is there a specific public record we can assist you with. Are you inquiring if you have an outstanding warrant? Any active warrants in New Hampshire, Connecticut, Massachusetts or Florida for Eric Allyn Delano, age 45, DOB: 8/12/72? Our Tennessee warrant database came up no results. You can also contact the Polk County and Bradly County court clerks if this is a recent warrant. There are several warrants for a Robert Russell in Tennessee that do not have a middle name listed. The good news for you is they are for ages 50 yrs and up so they’re most likely not for you. We did respond to your original warrant inquiry. We did not find any active warrants in our database records. You can also verify this information with the relevant county courthouse clerk. Is it possible for you to see if there is any warrant out for Seo K. Han age 24 in California? Will I receive a notification for the responce on my search request, via email Or do I just continue to check the reply list on the website? Kendal, we do not show an active Tennessee warrant for either you or Kaleb in our criminal records database. Our database results show there is an active bench warrant in Florida for a Justin Henry Fagan with the charges being: NON-MOVING TRAFFIC VIOLATION – FAILURE TO REGISTER MOTOR VEHICLE. We don’t show anything in Pennsylvania in our records. Can you check for any active warrants in Columbia,Md for a Gabriel Ellis age 38 please?Thanks in advance! We don’t show any active Illinois warrants for Kecia in our database resources. If this is a recent warrant you might also consider contacting an Illinois county courthouse clerk to inquire about any recently issued Franklin County warrants. Is there a warrant for Jason R Collins age 40 in Montgomery County or Bucks County, PA? Can you see if active warrant for Jahad Carter in Virginia. There is an active Washington state warrant for a SEAN THOMAS TANDBERG for the charges of TPOT – Theft, Property, Other but we are uncertain if this warrant is extraditable. Your best option would be to contact the Washington state court where the warrant was issued and inquire about the extradition laws regarding this specific circumstance. Do You know how many arrest warrants are outstanding in the United States? Can arrest warrants be searched by victim or complainant? I have a one Chelsea Riley Vanelzen who has made bogus assault charges against me in Virginia. I would like to see if there were any arrest warrants in Florida, the previous state she lived in, with her as a complainant or victim. Arrest warrants can be searched by anyone as they are public record. That being said we do show an active Florida warrant for DRIVING UNDER THE INFLUENCE but we don’t show any warrants pertaining to assault. We do show a Georgia warrant for a Jessica L. Vaughn for a theft charge but no mention of Spalding County. You can also check the Spalding County Sheriff wanted list online. Can you tell me if there is a nationwide warrant for a Henry Ernest Ivey ? We do show an active Kings County warrant for Nathan however we don’t show what the arrest charges are. You can contact the sheriff or police department or county courthouse clerk for more information about his warrant. Does Michael DeCicco from AZ have a warrant in CA for a drinking in public citation? Thanks. I\’m interested in finding out if there is a female possibly named Corey that was involved in an accident, maybe a hit and run and if there is a warrant for her but im not sure of her last name. In order for us to run an arrest warrant search we will need to have the full name of the person as well as her state of residency and her age if possible. There are a lot of people with the same name out there so we need as much information as possible to find the correct warrant for the right person. Was it ran with ✓Tabitha? Or ×Tabatha? Im so sorry for the inconvenience. I just don\’t want to establish any false hope..
Can you tell me if dakota simpson age 32 of Calhoun ga has any active warrants? If so what for? Thank you. Accidentally did and now I can’t find the paper to see what I need to do next. A good option to handle your overdue parking violation, and any related warrants, is to contact the relevant Dallas County Courthouse Clerk and explain the situation and that you want to handle the overdue ticket, fees, fines and court appearances. Hopefully you can handle this situation without the aide of a lawyer or going to court, if you live somewhere else now. We do not show any active North Carolina warrants for you either Mohammed. Please reach out if there is anything else we can assist you with. Warrant In petoskey Michigan for Jaime Atkinson. We ran a Michigan warrant lookup for Jamie Atkinson and there were no active listings. We ran a free arrest warrant search for you and found there is an active Kentucky warrant for a Darla Mae Ryan. We can elaborate on the criminal charges associated with this warrant if you can confirm this is the correct name. Lashanda, we did not find any active warrants for you in our public record database. You can also contact the county courthouse where you were charged and/or a warrant was filed for such charges. If this is a recent warrant then it’s possible there is a delay with our reporting since not all warrant information is posted in a timely fashion by the state, county and federal agencies. We are uncertain how recent this warrant is, there is not an issuing date attached. You can also contact the issuing county court to inquire about additional warrant details and the relevant criminal charges. We ran a Massachusetts warrant check for you Tony and did not find anything active in Massachusetts. Patricia bagwell 41 Calhoun ga arrest warrants? You’re most welcome. Please let us know if we can assist you with a warrant search or public records lookup in the future. hi, can you check if there is an active warrant for David Omar Gonzalez 04/20/96 Rosemont/ Chicago llinois , and if so , what is listed? Warrants in meigs county, Monroe county TN? Any other open warrants? I am trying to find out if there is a warrant for Christopher Allen Hurt nancy ky he is 44 i am waiting to know if there is one and what it is for..
Do you know if Richard Roger Stewart has an warrant if so what is it for. Our California criminal records database did not come up with any active warrants for Douglas Bradford. Would you like us to run an arrest warrant check in another state? We are happy to lookup an active warrant for you but if you’re interested in finding out if there is a parole violation in Texas you will want to reach out to the Texas Department of Criminal Justice Parole Division. Does Wendy M Williams have an outstanding warrant? Do they have a warrant out for Dalton Joseph Gary III. or Dalton Joseph Gary Jr.
Whats the dofference between active warrants and open warrants ? The difference between active and open warrants is an active warrant has a higher priority and degree of concern to law enforcement. Active warrants are typically attached to serious crimes such as felonies or serious misdemeanors. An open warrant does not have the same degree of priority to law enforcement. These can be from an unpaid speeding ticket or unpaid court fees. These open warrants can also be bench warrants for unpaid court fines or fees. Can u see what Aron Isaak Charles , San Antonio , Tx 78227 has a warrant for i dont think its a active warrant maybe open warrant ? Michael Killian Beck did come up as having an active arrest warrant for the criminal charges of Armed Burglary of a Dwelling. You can also follow up with the Florida. You can also check with the Florida Department of Corrections for information about Michael’s criminal history, prison record and probation information. Can you pleas tell me if and where David A. Keeton 37 has a warrant for? Can you see if there is warrant for Joseph M Jelinek, Owosso Michigan 48867? Mike, we are more than happy to run a Free Arrest Warrant Search for you but we’ll need some additional information since there are multiple warrant listings for Mike Potter nationwide. Can you also give us your state of residence as well as your age so we can filter our results to make sure we’re looking up the correct criminal record for the right person. Cody, we ran a free arrest warrant search for you can found there is an active Louisiana warrant for a Cody Michael Gaudet but we don’t show the details of this warrant listing. It’s unclear if it’s an open, bench or arrest warrant. You can contact the Alexandria county courthouse clerk for more information about this pending Louisiana criminal case. Katrina, we do show there is an active warrant for you for an Oregon Parole Violation. You might consider contacting your Oregon parole officer to mitigate this situation so that you don’t get arrested at an inconvenient time. We show there are active California warrants for a Joe L Singletary but not with the middle name of Frank. Were there any specific criminal charges you would like to know about or are you just suspicious of this person? We also have the ability to run background checks. Being black mailed for false allegations from a full fledge criminal. That’s a very unfortunate situation. You might consider contacting the police or hiring a private investigator to assist you with resolving this criminal matter. That being said, can we assist you with a Free Arrest Warrant Search? Is there an active warrant or criminal records on Dwayne T Watson St Louis Missouri. We show several warrants for a Dwayne Watson with no middle name listed. Can you provide us with his age so we can filter our results? Also, do you know what the nature of this warrant might be related to so we can make sure we’re looking at the most relevant warrant data? Can you tell me if Lee Williams 30 of Dahlonega or Dawsonville Georgia has any currant warrants. Thank you in advance. We do show there are a few Georgia criminal charges attached to Lee Heath Williams in our criminal record database for Georgia. We also show there is a Georgia bench warrant for Lee and a potential Georgia probation violation. You might want to contact the relevant Georgia courts to inquire about the specifics of this information. Can you tell me if there is an active warrant for Tiffany M Chandler in Jacksonville FL? hi my name is angela smith do I have a warrant in st clair county al? Angela, you have a very common name so we’ll need some more information from you to give you any information. Can you provide us with your middle name and age as well so we can verify the correct arrest record and / or warrant. We show there are several listings in our database for your name and we need this extra information to make sure we’re looking at the correct criminal record for you. We checked our Indiana criminal background information and found multiple warrants for the name Larry Lynch and not all of the criminal warrant listings include the age. Can you also provide us with your middle name for us to verify the correct public warrant record. Markus, good news, your name did not show any active results in our Texas criminal records database. We show there is an open arrest warrant for a Willie Otis Cherry for a possible violation of probation in Illinois. We show multiple Illinois criminal records for Willie so it’s uncertain which of these the warrant is related to. We show warrants for two different Wendy Wrights in Georgia. Can you confirm your middle name so we can filter our results and find the correct record for you? Are there any outstanding warrants for George Henry Castor(45) of Watertown NY in Lowville NY or statewide? Possible birthdate 7/20/1973.